Studies show that entrepreneurship is an essential part of our economy in the United States. In fact, 85 percent of new jobs are created by startups; companies that are less than five years old, according to a study by the Kaufmann Foundation. According to that same study, 35 percent of new net wealth is created by startups. Entrepreneurship is “a way of thinking and acting that is opportunity obsessed, holistic in approach, and leadership balanced,” according to a quote by Babson College. This ideal is what Grand Valley State University teaches to its business students around entrepreneurship. Additionally, an entrepreneur is someone who takes it upon themselves to start a business, and in that process takes a financial risk in hopes of making a profit. Intrapreneurship is when someone creates a new faction, idea or plan inside of an already existing business. Entrepreneurship education has come of age and has seen rapid growth since the 1970s where only 100 formal programs existed on college campuses. Today, entrepreneurship education is one of the fastest growing fields with over 3,000 college programs, 5,000 courses, and over 9,000 faculty members teaching entrepreneurship on college campuses across the U.S. This is due in part by higher education institutions, employers, and economic development organizations realizing the need for such education. Further, the growth of the millennials generation is playing a big part in shaping the entire field. According to Shorouq Almallah, Director of the Richard M. and Helen DeVos Center for Entrepreneurship & Innovation at Grand Valley State University, millennials are well-positioned to leverage technology to pursue new ventures due to the rapid growth and access to advanced technology and the use of social media networks. “With greater access to entrepreneurship classes, extracurricular programs, and early stage funding, millennials are more inclined towards new venture creation,” said Almallah. Incubators and accelerators are words to describe the environments on campus that help startups by “delivering technological assistance, expert mentoring, co-working space, and in many instances various forms of material resource investment.” Especially on college campuses, these hubs also promote campus events, bring in guest speakers and connect students to campus-wide and local business plan or pitch competitions. These colleges, GVSU included, are teaching the skills needed to be an entrepreneur, but are encouraging all students of all disciplines to learn these skills, whether they start a business or not. Just having the entrepreneurial mentality is enough to help someone be successful in whatever career path they choose to follow, or make for themselves. With critical thinking and problem solving skills, leadership qualities and an innovative mind, you’re already on the right track. According to a report by SHRM, a little over half of employers today believe college graduates are seriously lacking in these skills, and 73 percent said creativity is projected to increase in importance for new employees. 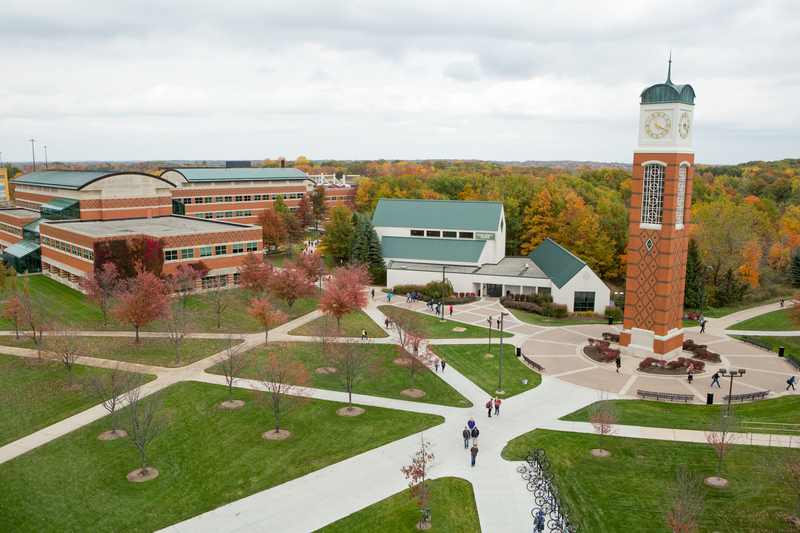 At GVSU, there are many resources for students to take advantage of if they’re looking to start their own business. Besides taking courses in business in entrepreneurship, students can take advantage of the many resources at the Center for Entrepreneurship and Innovation. With peer to peer networking, competitions and mentorship, the center is a place where students can come to work on their ideas and find help in reaching their goals. To get started on your own business plan, or just to learn more, visit http://www.gvsu.edu/cei.